1st entry in the Wine advocate with 91 points!! The 2007 vintage is the second for Huellas. There are only 580 cases of this micro-vinification and the vines are very young by Priorat standards. Nevertheless, this is a strong beginning as the 2007 Huellas, a blend of 80% Garnacha, 15% Syrah, and 5% Carinena, demonstrates. It displays an expressive nose of mineral, roasted herbs, lavender, and confiture of black fruits. Smooth textured, rich, and concentrated, it has a bit of structure along with an elegant personality. This substantial offering will deliver pleasure through 2022 if not longer. 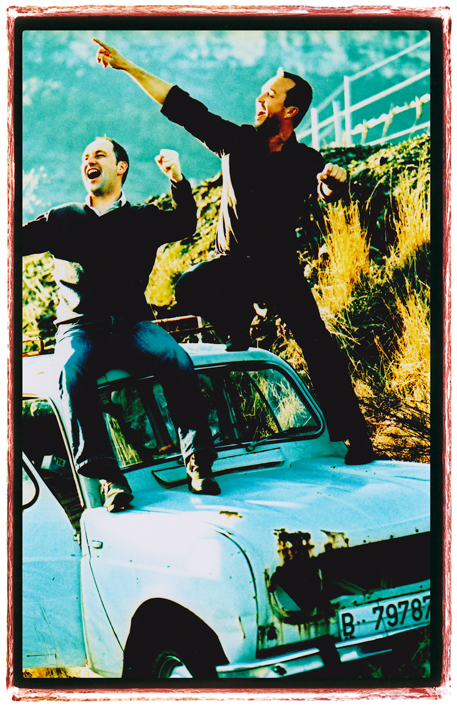 Why: We, Christophe Brunet and Franck Massard, both trained as sommelier and above all long time friends decided in 2004 to make a dream reality by acquiring our own vineyard. 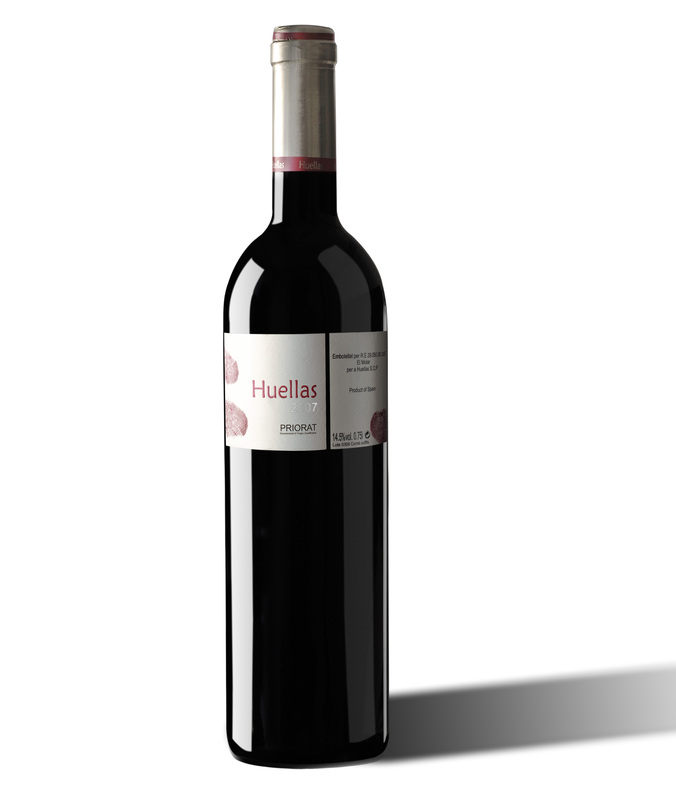 Both of us were working at the time for another winery and therefore had to keep our dream quiet, thus instead of the label bearing our names, we applied our fingerprints “Huellas” on the label, which also represents for us an artisanal wine. Viticulture: Sustainable no use of systemic products will convert to organic. We follow moon cycles for pruning and bottling time. Wine-making: minimum handling to respect the fruit. Cooling of the grapes to 6ºc, and cold maceration for 2 days. All grapes are fermented separately under controlled temperature; the cabernet sauvignon is fermented in wooden vats of 400l. The other berries are fermented in stainless steel tanks. Ageing: Takes place in 20% new French oak of 400l capacity and 80% in 2nd and 3rd year old barriques, for a total of 1 year in wood. This wine reflects his place of birth by displaying ripe fruit, cherries, figues and an underlying scent of thyme and rosemary. The structure is based on finely etched tannins and certain opulence in the mid-palate that is gently tamed by a mineral acidity lifting the wines and lending it a harmonious and seductive finish. The happpy owners celabrating on their vintage car!!! Humilitat is the project of two friends sommeliers/vignerons Christophe Brunet and Franck Massard. We wanted to produce a wine from the Priorat featuring its best expression of Terroir, minerality and preserve its freshness which often is missing in this region. For this, we have selected vineyards on steep terrasses sheltered from the scorching sun yet sufficiently exposed to reach optimal maturity. The extraction are moderate and the wine nurtured partially in oak to confer stability and complexity yet above all, it is the freshly gathered berries that we wish to express in this particular wine. Origin: 4 villages : El Molar, Gratallops, Porrera, Poboleda. The berries are collected in crates of 10kg capacity. Cool down to 6ºC to allow a cold maceration during several days. Fermentation takes place at 24ºC-26ºC and extraction method are applied by a combination of pumping over and punching-down. A dark red ruby colour, glowing purple tinges. Savoury nose mingled with violet and freshly gathered red berries, supported by a light touch of wood. Finely textured tannins, a seamless structure, certain minerality (graphite) interacting with the vivid fruit and a long silky finish. 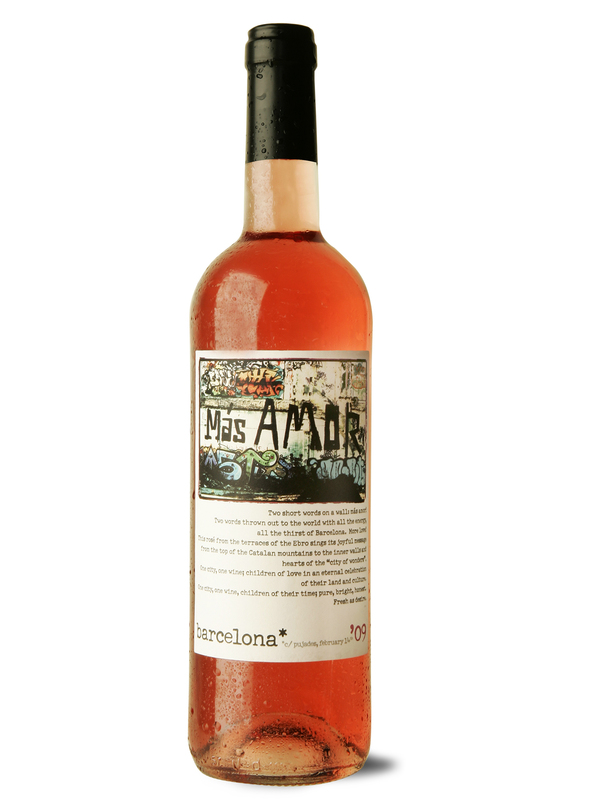 – Más Amor, a very exciting rosé made of 100% garnacha grape. It is a bright, vivid rosé from D.O Terra Alta, located at the South of Priorat on the banks of the Ebro river. A really nice accompaniment to squids, parrilladas, tapas which may remind you the incredible endless nights in the heart of Barcelona. The label has been inspired by a graffiti in Barcelona seen on February 14th, Valentine’s day, what a coincidence! The berries were hand-picked from 14th until 17th September, between 6.00am and 11.00am to keep freshness. Attractive bright salmon pink colour. Fragrant and focus fruit on the nose reminiscent of red berries, cherries and a lifting citrusy note. Refreshing palate and crisp finish. We made it! The 2007 is ready. Christophe and I are very pleased with the wine, it is reminiscent of 2006 but yet with an extra layer of complexity. Taking you back to that vintage, we decided to cool the grapes to approx 6ºC, we used only two new open barrels of 400l to ferment the cabernet sauvignon. The other main grapes, the garnacha, cariñena and syrah are fermented separately and were aged in barrels of 1 to 3 years old. We achieved our main aim to capture the fruit of the Priorat the beautiful figue-like aromas mingled with mulberry and lifted by a mineral signature. 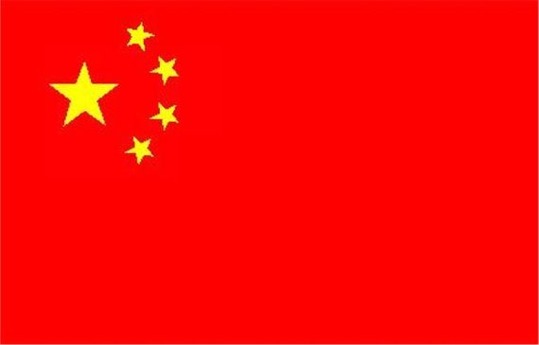 The first 120 bottles are going to Malaysia, have a safe journey, Huellas. Rut Cotroneo, the best sommelier in Spain in 2007. I later found out that she worked at Fat Duck, Mugariz and she is now at the restaurant Ferrero in Bocairent next to Valencia.